Harnessing systems-level biology to address the complexity of cancer. 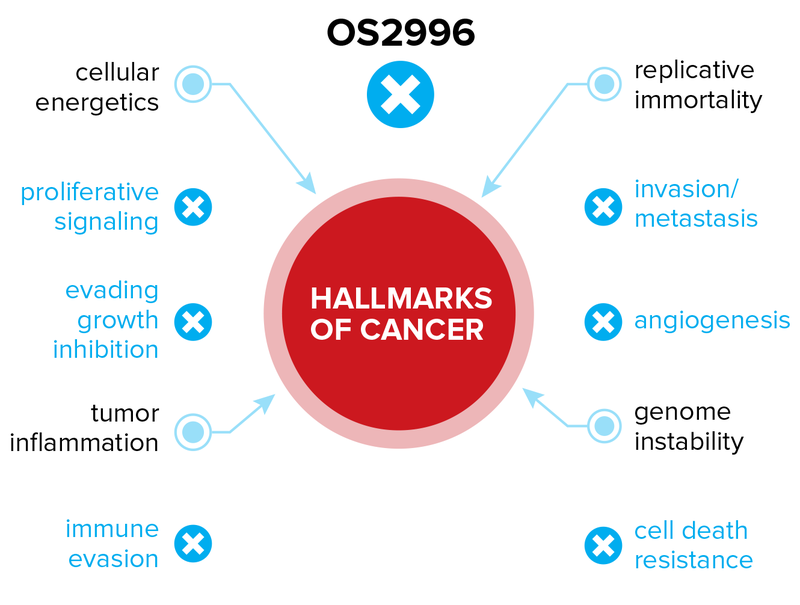 Resistance to conventional and targeted therapies emerges rapidly in solid tumors due to adaptation and compensation through at least 10 cancer promoting mechanisms known as the “Hallmarks of Cancer.” For example, drug resistant glioblastoma is more invasive and proliferative than untreated glioblastoma under the same conditions (see animations). 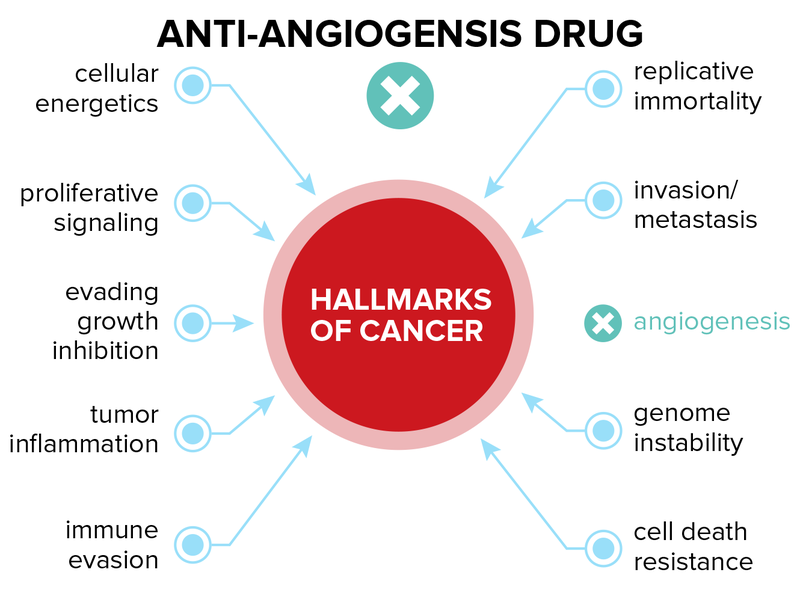 Acquired therapeutic resistance is not unique to cancer; drug resistance is a significant challenge for other therapies including antibiotics. However, tailored combinations of multiple drugs have already proven to be an effective strategy for infectious disease (e.g., quad therapy for HIV). This approach recognizes the complex biology driving disease processes. 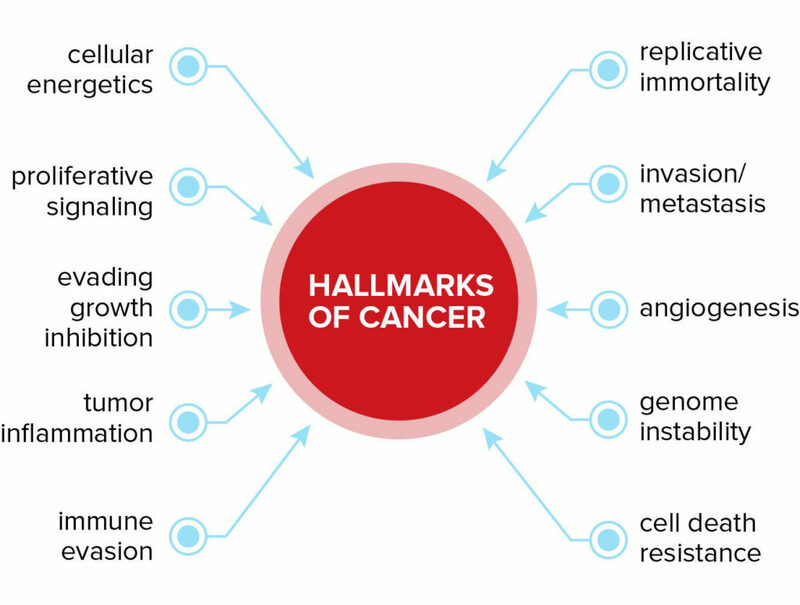 Similarly, OncoSynergy is employing a transformative strategy based on the RMI principle to develop drugs that inhibit several cancer driving pathways (i.e., the Hallmarks of Cancer, below) simultaneously. We have identified several of these critical path targets, including CD29 (β1 integrin subunit) and HSP90. RMIs have the potential to produce dramatic synergy in combination with other treatment modalities including immunotherapies such as oncolytic viruses and immune checkpoint inhibitors.  We believe that our RMI approach differentiates OncoSynergy from the competition and will represent a paradigm shift in the treatment of human cancers. Adapted from Hanahan and Weinberg, Cell, 2011. Our lead RMI program is OS2966 in the treatment of glioblastoma. In 2014, OS2966 was awarded Orphan Drug Designation for glioblastoma by the Food and Drug Administration (FDA). β1 integrin targeting potentiates antiangiogenic therapy and inhibits the growth of bevacizumab-resistant glioblastoma (2013). β1 integrin: Critical path to antiangiogenic therapy resistance and beyond (2014). Cross-activating c-Met/β1 integrin complex drives metastasis and invasive resistance in cancer (2017). The vascular basement membrane as “soil” in brain metastasis (2009).